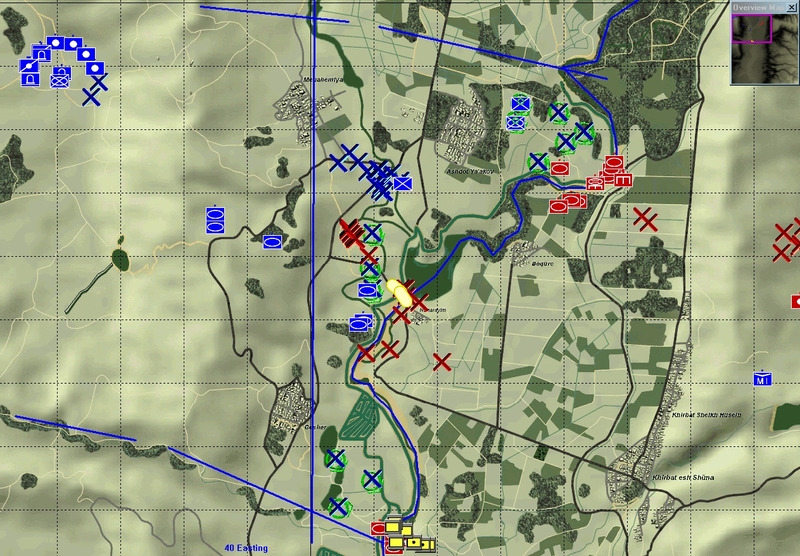 The results of a successful defense during the October War. 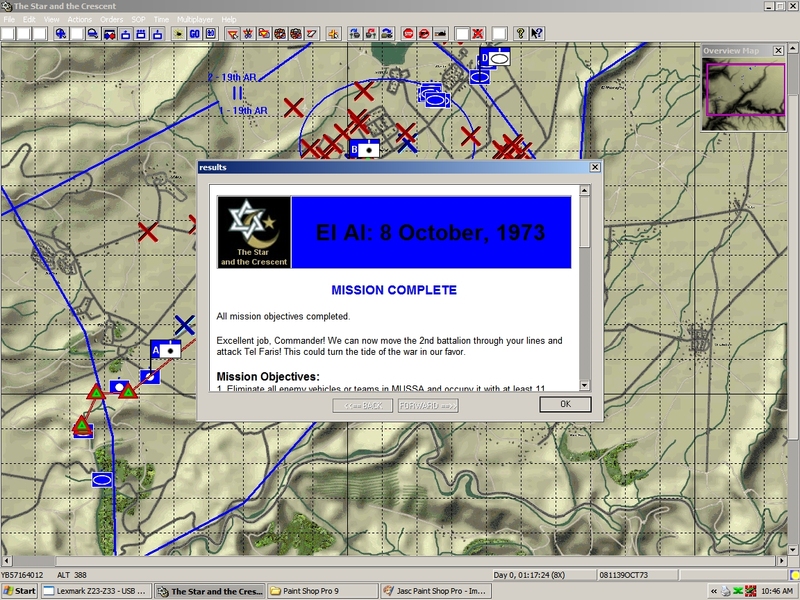 Detected enemy outside Jenin in 1967. 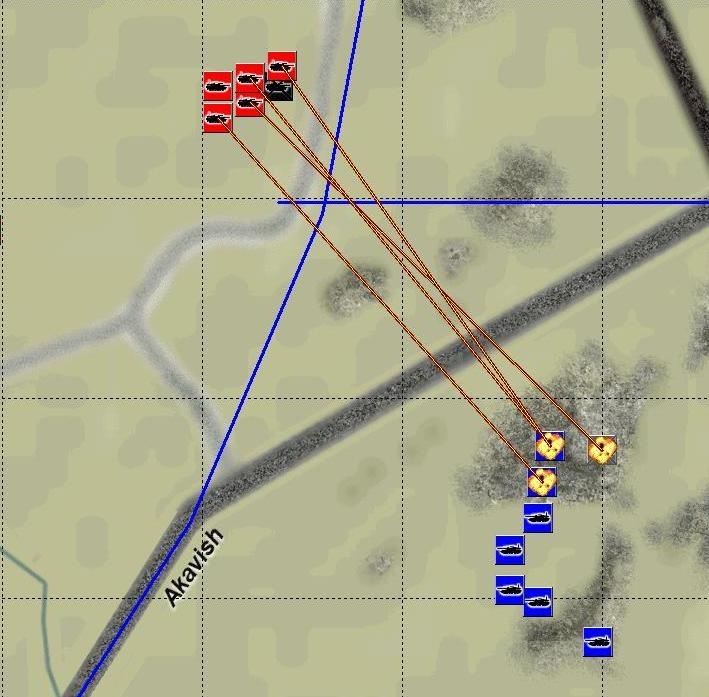 An Arab counter-attack near the Chinese Farm. 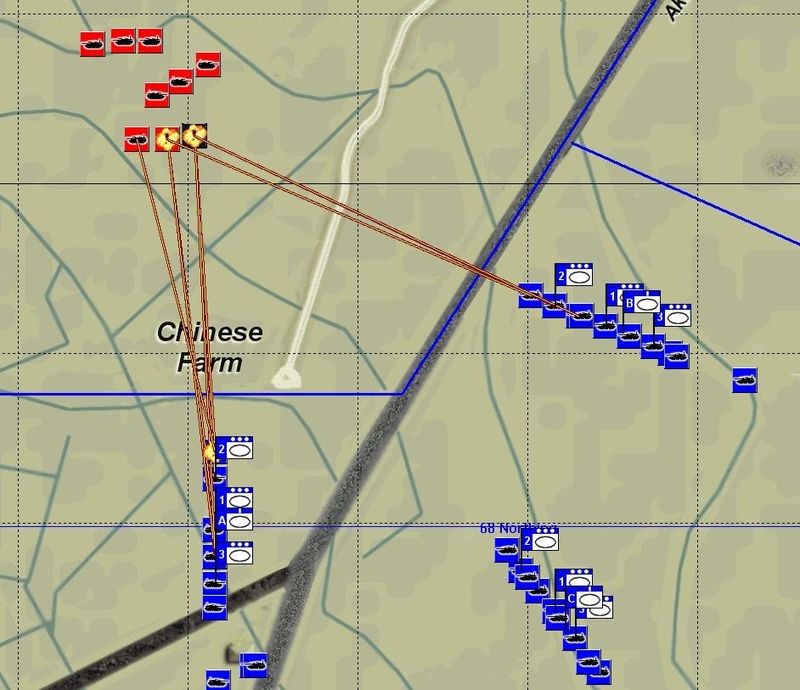 The attack on the Chinese Farm. 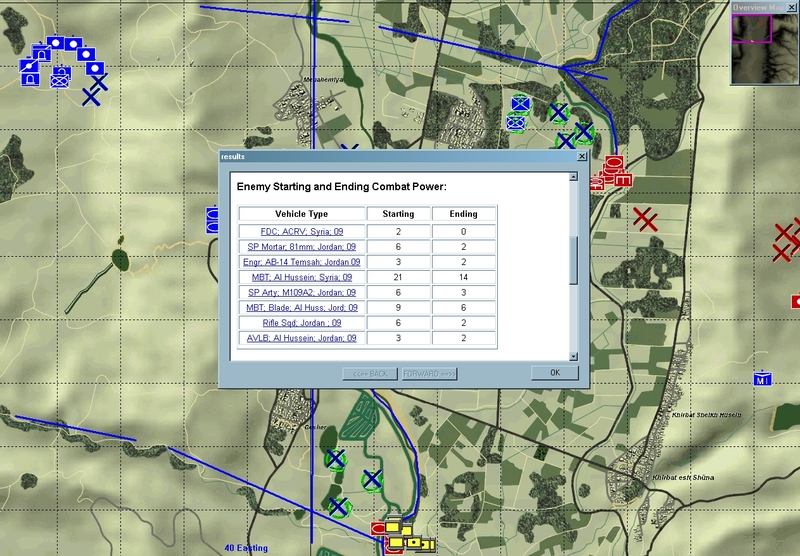 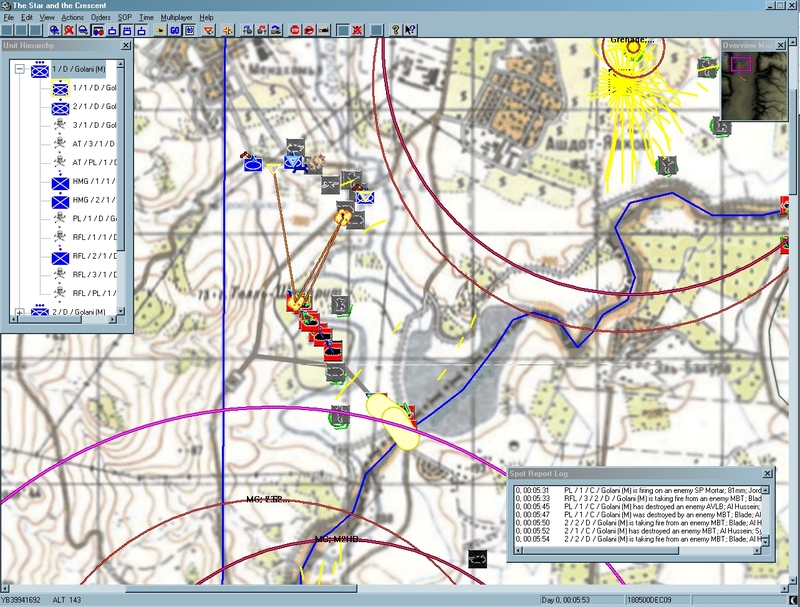 Detailed AAR at the end of each battle. 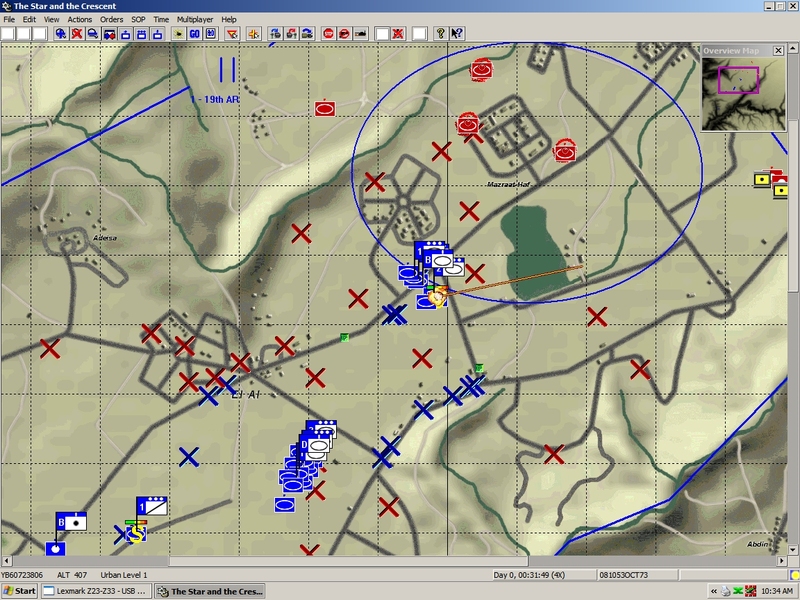 Customization allows you to fight on real military maps and command companies, platoons, or individual vehicles, if you choose. 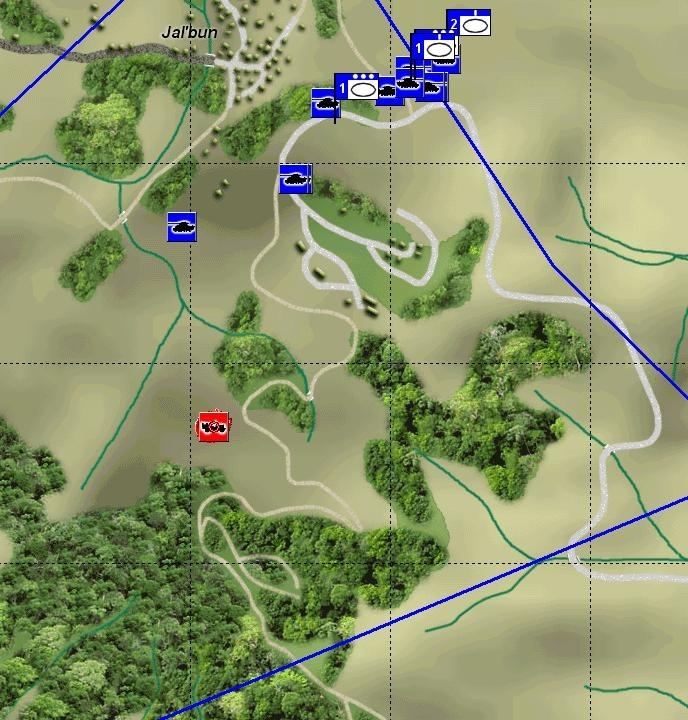 A desperate defense of the Jordan. The same battle on the color map. 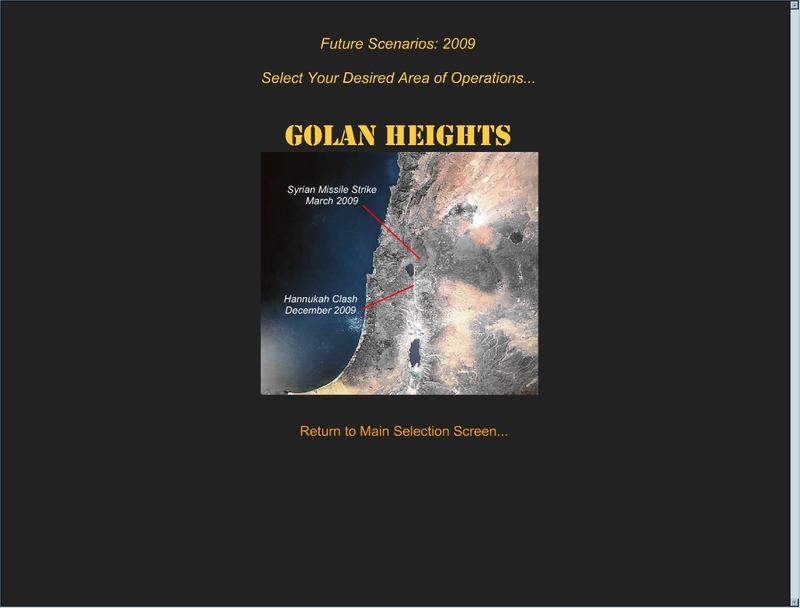 Two very plausible future scenarios. 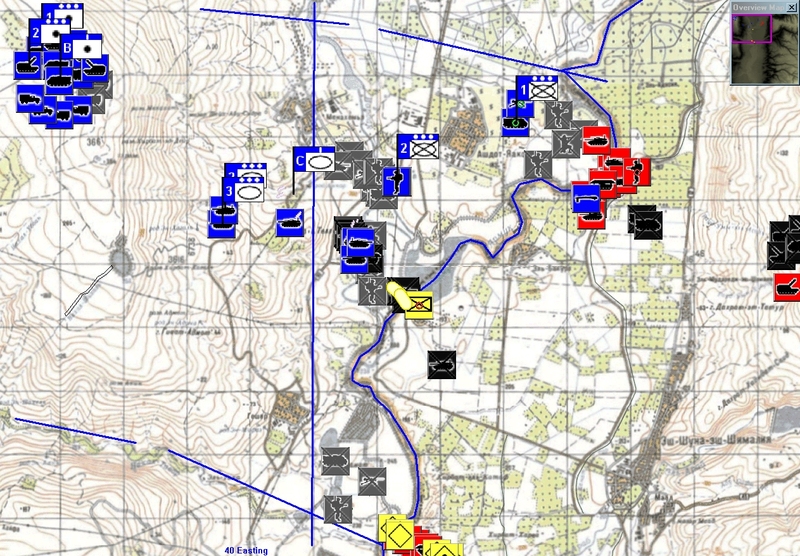 Brief orders and graphics reflect the "seat-of-your-pants" nature of the October War. 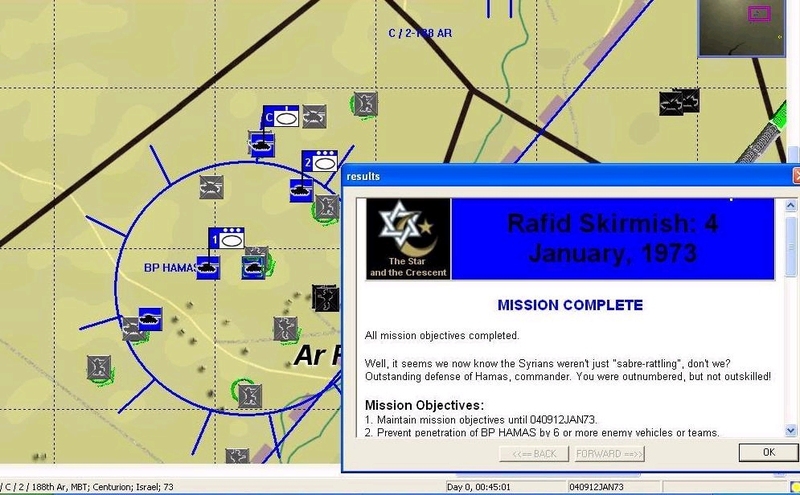 A tough fight in the Golan Heights. 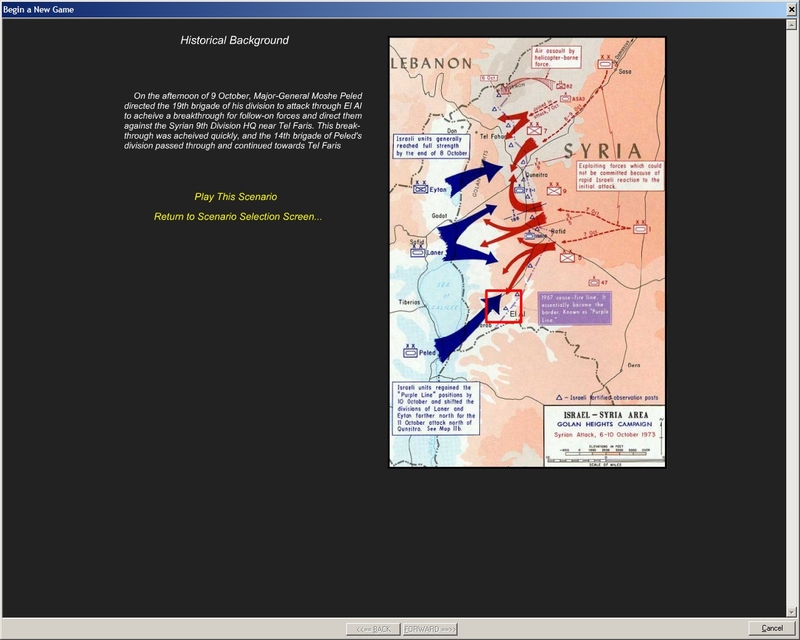 Historical scenarios include detailed descriptions that put the battles in context. 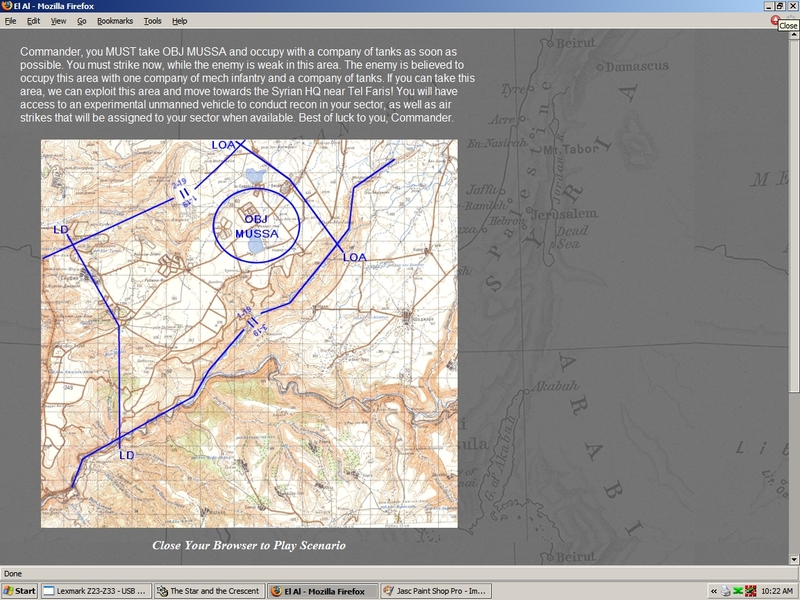 The fight to capture El Al, near the end of the October War.